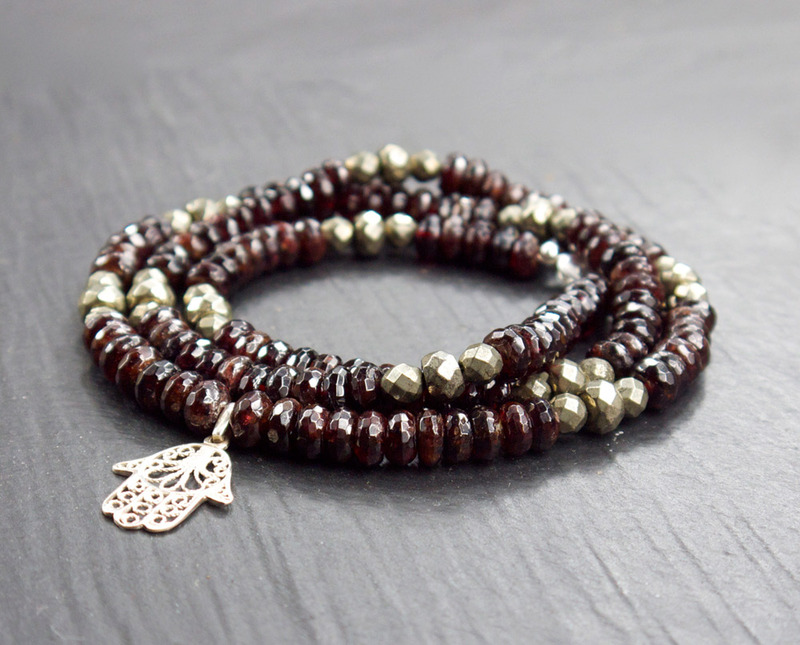 Garnet escorted by its brilliant pyrites, accompanies and protects you everywhere. Necklace made of faceted discs: mostly Garnet accompanied by faceted Pyrite. 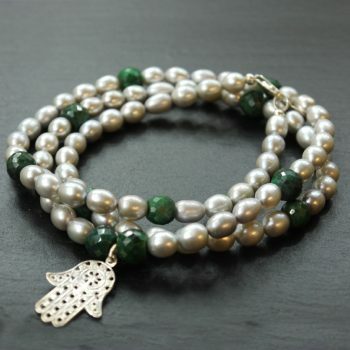 This necklace has that feature of being composed of 33 pyrites assembled by 3. The Heroes Shield Used in ancient Greece on the warriors shield; especially in Sparta. It might not be arrows nor be bullet, it’s true that garnet will increases your self confidence, perseverance, and will definitely gives you a good kick no room no more for being « the one in the corner ».